Does packing make you stressed? It won’t with us! 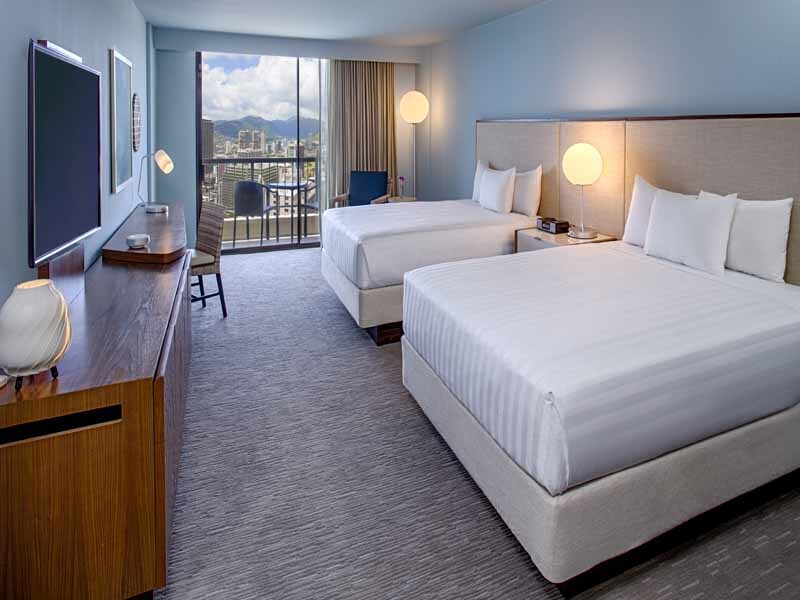 Experience authentic Hawaiian hospitality on the way there and the way back, plus enjoy 2 lots of 32kg checked luggage when you travel with My Hawaii! That’s a lot of room for bikinis and board shorts! The last thing you want to do after a long flight is rush through the airport to join a long queue for a taxi. With My Hawaii, you won’t have to! Get to and from your accommodation with return airport transfers and holiday stress-free! 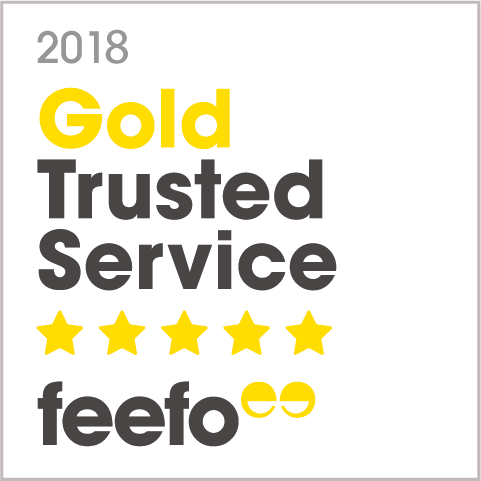 Take the whole family and forget counting your pennies, because when you holiday with us—up to 2 kids can stay for free when sharing a room with parents & utilising existing bedding! Mandatory resort fees can dampen an otherwise amazing Hawaiian holiday—just when you think it’s all been paid for, they sneak up on you at the end! You won’t be caught out when you travel with us, with a complimentary resort fee that includes extras and benefits! Need a rest day after all of your exciting Hawaiian adventures? 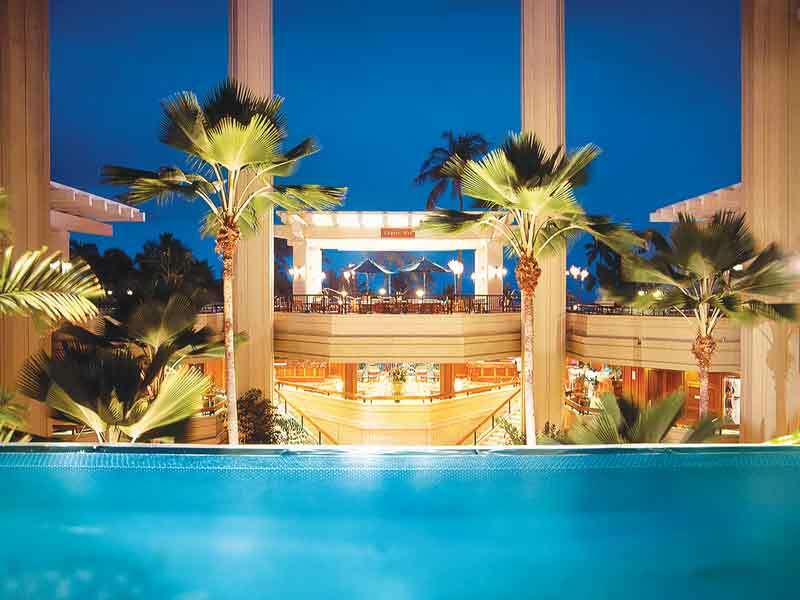 Two people can spend one day relaxing by the pool on a VIP cabana! Enjoy some quiet time and feel refreshed, rejuvenated and ready to take on Hawaii again. 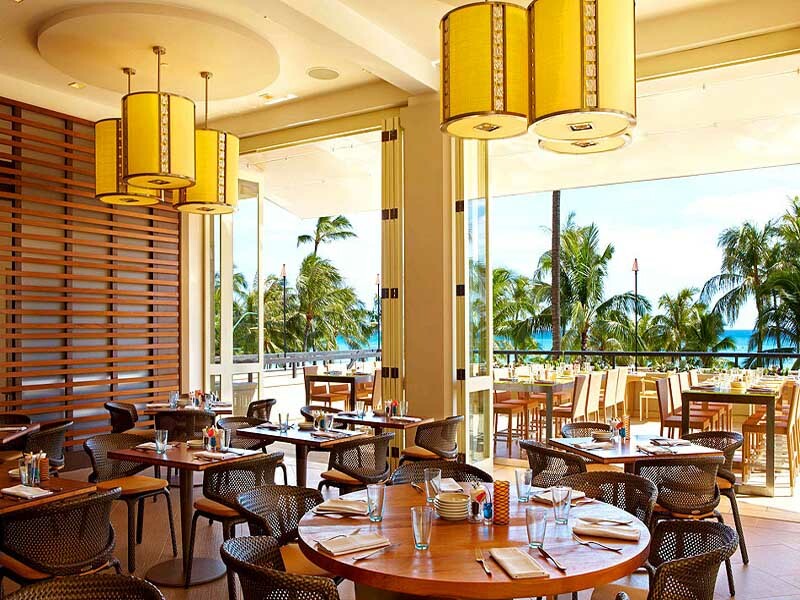 Take advantage of the awesome SWIM Happy Hour menu that is exclusive to My Hawaii guests only and includes up to 70% discount off selected menu items at SWIM, all day & all night! 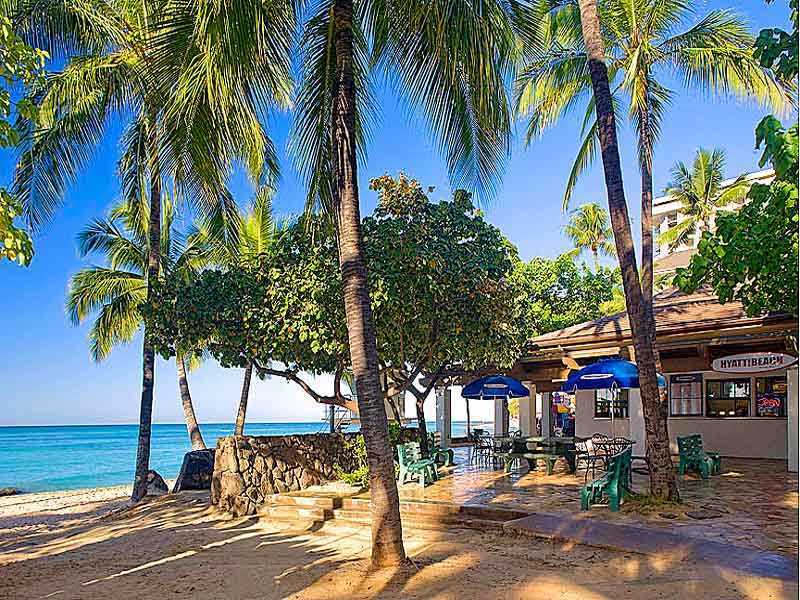 Relaxing at the private resort beach, sipping on tropical cocktails at the poolside bars and indulging in delicious local delicacies is great but why not get more out of your Hawaiian holiday?! Use this My Hawaii Tour Voucher Booklet to see more during your time in Hawaii! Peak Travel dates available, surcharges may apply. 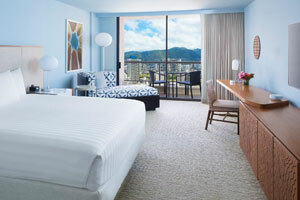 Enjoy views of vibrant downtown Waikiki from your comfortable, spacious City View Room at the Hyatt Regency Waikiki. Located on the fourth floor or higher, all accommodation is equipped with Wi-Fi, TVs, a work area and deluxe bathroom amenities. This room is 38-46sq. metres & sleeps up to 4 guests. 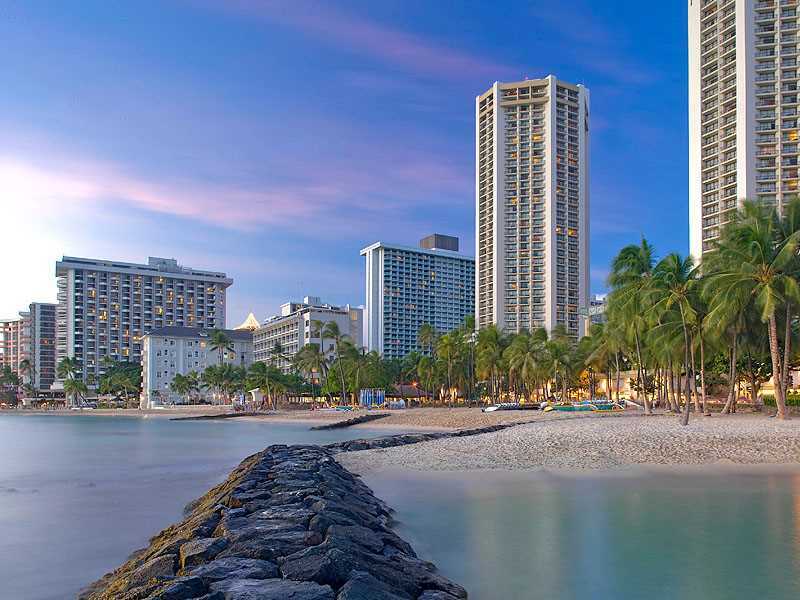 Walking along the soft sand of Waikiki beach, basking in the sun, sipping drinks from a fresh coconut, these are just a few of the activities you can look forward to in Hawaii! 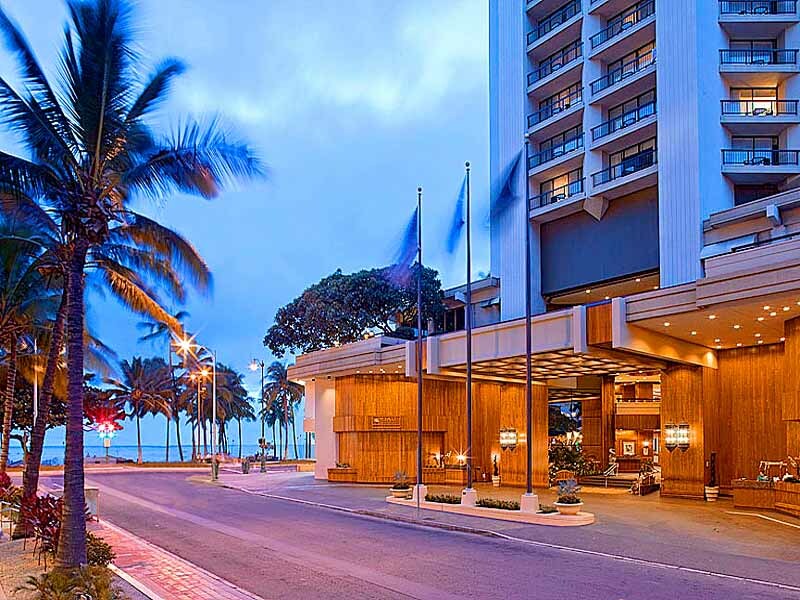 The Hyatt Regency Waikiki Resort & Spa in the heart of Waikiki is the perfect location from which to experience this unique Hawaiian coastal city. 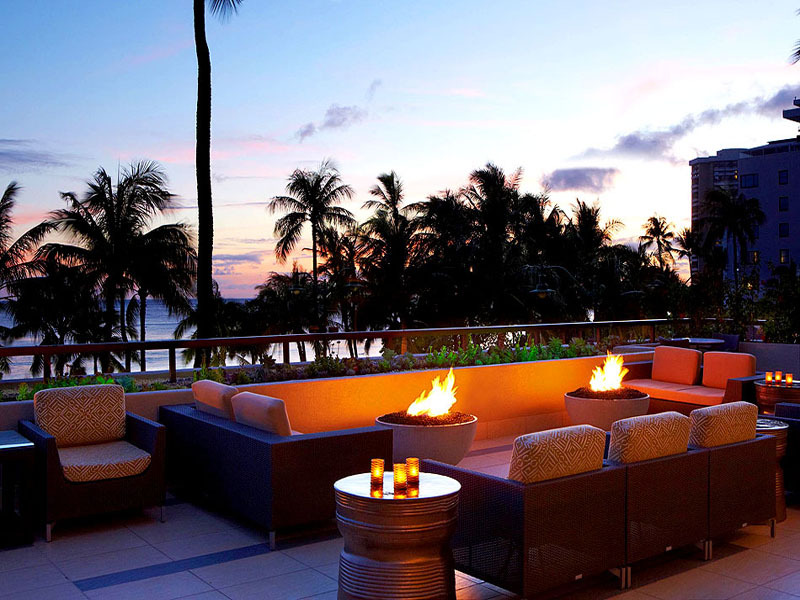 Read more about Hyatt Regency Waikiki here! ^Airfares are based on the best available airfare at time of publication and are subject to availability & change. Flights may not be direct or operate daily. Air surcharges apply during Australian school holidays and other peak travel periods. Maximum stay 3 months. Applicable charges will apply for changes. Tickets are non refundable at all times. Domestic connecting airfares from Melbourne/Adelaide/Perth include 2 x 32 kg baggage allowance (normal onboard facilities apply). Domestic flights within Hawaii do not include luggage unless part of a Hawaiian Airlines International ticket. Baggage is payable directly upon check in. Please refer to the airline for fees. Please Be aware you MUST have 6 months validity on your passport on day or arrival back into Australia. you must also have a valid ESTA visa issued atleast 72 hours prior to departure. #Kids Stay FREE: There is no charge for children aged 18 years and under sharing the same room as their parents when using existing bedding. *Mandatory Taxes: Accommodation is subject to availability. 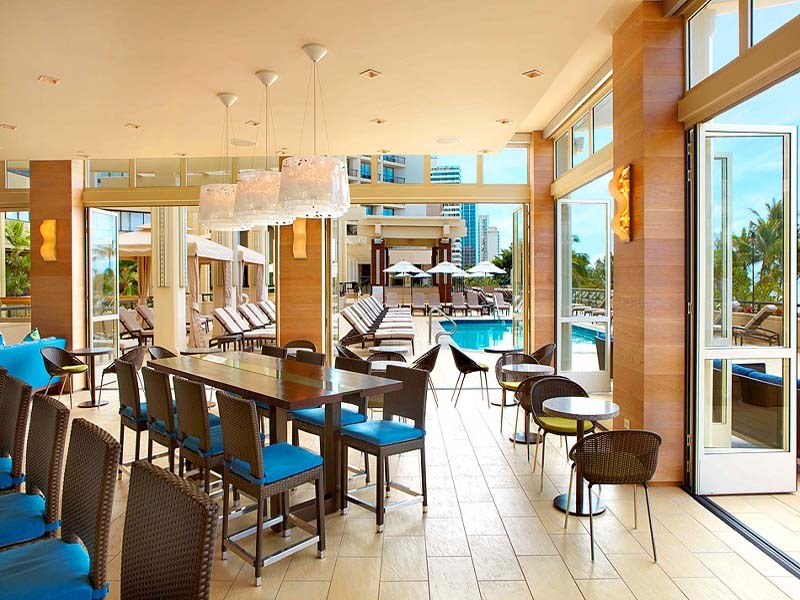 ** MyHawaii SWIM Happy Hour is available to MyHawaii customers during the operatin hours of SWIM (11am to 11pm). Menu Items are subject to availability and may change without notice.